Sports! In this article I don't want to present to you a documentary about sports, but simply write my report about the methods I used to get the best results. Of course I will explain why and what worked best for myself. And of course make it clear to you why it will probably work best for you. 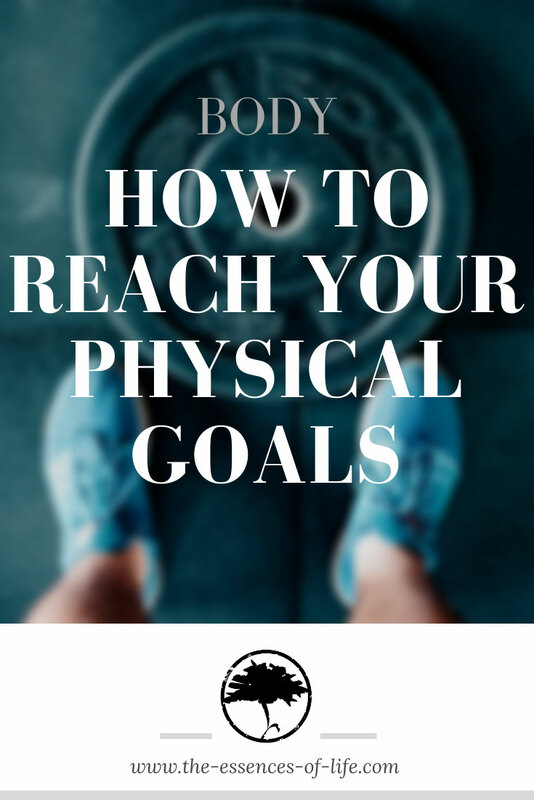 What is your physical goal? Loosing weight? Gaining muscles? Everyone has a different idea of sport. The one plays football, the other badminton. A young woman takes a self-defense course and someone else goes to the gym 6 times a week. I'm talking about people who do sports frequently. But how many couch potatoes are there that hardly do any kind of workout? It can even get that bad that going to the supermarket is considered very annoying. I don't have to mention at this point what everybody already knows, even if you are lazy in doing sports you know this. And that is, that any kind of exercise is good for the body, the cardiovascular system and the brain. With so much sitting in most of the office jobs, movement is essential to keep our heart muscle strong. There are countless positive qualities. I think we can all agree that sport is a good thing. But of course there are also the supporters of the "sport is killing you" theory. And that is not completely wrong. Sports injuries are one of the most frequent reasons why a doctor or hospital is consulted. Caution is therefore required. Not only possible accidents and injuries are a contra. Through a lot of cardio we age a little bit faster. "What, really?" Yes, and this is quite easy to explain. The oxidation process, which is caused by breathing, releases free radicals, which destroy our cells in the body and cause them to age. The more and more intensively we breathe, just by strong physical exercise, the faster our cells age. But don't panic now. It is certainly not the case that you get 10 years older just because you went jogging once. On the other hand we need to exercise and it helps us to be healthy. You need it to prevent heart failure, muscle atrophy, memory problems and ankylosys. As you may have noticed, too much of one thing is never good. The dose makes the poison. So I think it is appropriate to bring everything into balance. If you are a Bodybuilder or a professional athlete, you need to train 5 or 6 times a week to achieve the muscle mass or abilities you want to achieve so you can compete and win. This is just one example. As soon as sport is a kind of job to you, it is understandable that you work out more often. But in the case that you are already very athletic, it is unlikely that you will read this article. I now assume that you do little or no sport. Also for those who are chasing after their dream body, the following plan might be the right one for you. Basically it is very simple. We simply pick the best out of different areas. Scientific research has shown that long-term physical activity has a positive effect on our central nervous system and the brain. So the opinion that bodybuilders are stupid is a fallacy. For most of them at least. But higher risk of injury due to "explosive" movements. Workout... I'm still not so sure?! Sport or any kind of natural movement is healthy for us and those above are just some of the endless advantages of these workout methods. I read very often that people decide emotionally instead of looking at facts. So I think these benefits will make you think about it, but they won't really convince you to be active. Therefore I tell you about my path and would like to tell you how YOU can achieve what you want. 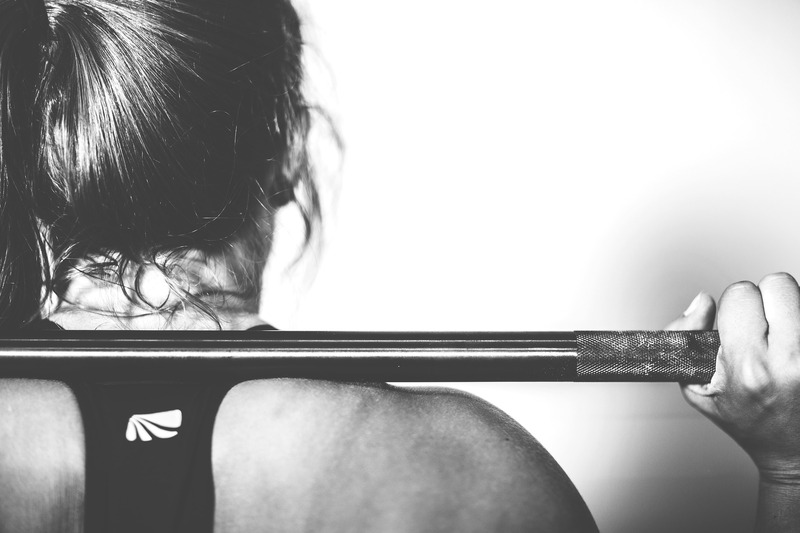 Concerning strength training or any training with weights, I would like to say something to all ladies from the beginning, who have concerns regarding their muscular or masculine appearance if they would train with dumbbells. This is total nonsense. If you don't train your muscles daily with classic bodybuilding exercises and consume much more calories than you need, then very little will happen except that your body will look leaner, firmer and more athletic. In addition, you can reduce body fat very well, because the muscles then need more energy after the workout to regenerate. In addition, women generally produce less testosterone, so rapid muscle growth is not so easy anyway. Don't worry, Arnold spent about 30 hours a week at the gym. As a man or woman, you are very far away from that, if you don't take any steroids. More and more men and women are now going to the gym. Just like everyone used to play football or basketball, there has been a real fitness boom. Most of the ideas and programs that spread from the USA to Europe quickly conquered the market. So did for example functional training. I think everyone has heard of CrossFit or Freeletics. If not, a look might be worth it. I also stepped over this trend. And so I also wanted to finally look fit and athletic, just as these Body-weight workouts promised. So I started with functional training. I went out to the park, during winter at home and trained push-ups, pull-ups and the popular burpees. It was very good at that time that I had a training partner who motivated me because he also wanted to achieve more. My endurance improved and indeed there was some physical progress. But then I stagnated a little. I also didn't feel like doing workouts more than 3-4 times a week because I had enough other things to take care of. A change had to be made and I signed up for the gym. Instead of going to the gym more often, I wanted to train more effectively. I actually started training with weights after I saw the Marvel movie "Thor". Apart from the quality of the film, I was fascinated by the superhero like a little child and wanted a massive and muscular body. That's probably what most men thought after the movie. The search queries on Google for "Thor Workout" or "Chris Hemsworth Training Routine" increased rapidly. But after some time the disillusionment came for me. Why such a massive body, why exaggerate? I am neither Thor, nor do I compete with Mr. Olympia. Looking athletic is much more aesthetic, but it's a matter of taste and a personal choice. Without any magical (hormonal) help, it is impossible to build up this muscle mass in 2-3 months. I don't want to accuse anyone of anything and of course actors train hard, but they have nothing else to do but learning their lines and working out for their role. Hollywood sends its regards. So is a hero who doesn't play completely clean really your hero. Why not become your own hero. You have to stop looking for idols. Look in the mirror and think, HOW you want to be and not WHO you want to be. See the article Happiness, how does it work? PART I - Acceptance. So what do you really want? Goals in life are the 101. However, if you are looking for a physical activity that challenges you and keeps you healthy, then the following program is ideal. For my part I don't want to pant when I take the stairs to the 2nd floor and I want to have a straight posture and in addition I want to look strong without looking too bulky and lean on top of that. My thought was to combine different workout methods a little bit and still get the most out of it. And I have successfully implemented this for myself. An athletic look is what most of us really want. And once again, all good things come in threes. If you combine the three types of training mentioned above, you will train your body in the best way whether you are male or female. I recently read an article about how good it is to combine functional and conventional weight training. Stop being lazy, you only have to do something 3 out of 7 days a week. And usually no more than 30 minutes. It is important to mention that these training plans apply equally to men and women. An appropriate nutrition is required. Please warm up for at least 5-10 minutes before each workout (jogging, jumping rope, jumping jack). WARNING: Correct execution of the exercises is essential to prevent injuries. You can have a look at the exercises on the internet, e.g. on Youtube, but in the best case you should ask a qualified trainer how to do it correctly. You can damage yourself a lot, for example by deadlifting. False pride is inappropriate here. Practice the exercises with little or no weights before you start. 1st day - Full body workout with weights: several complex core exercises that involve several muscle groups simultaneously, such as bench press, shoulder press, rowing, deadlifts, squats. With these 5 exercises you train your whole body. Make 3 sets of 10-12 repetitions for the beginning. Never start to heavy. Between each set a break of 30-60 sec is sufficient. You can perform each exercise with DB or BB. Maybe to alternate you try one week DB and the next week BB. At least 2-3 days of rest. 2nd training day - Functional training with your own body weight: e.g. push-ups, burpees, sit-ups, squats, pull-ups + light stretching and fascia training. The workout below offers everything you need. Again approx. 30 - 60 sec rest, between each set. If you can't do 20 repetitions, take a short break and then move on as soon as you feel good to go. Never push yourself to hard. It's called training, not suffering. Just go through the set and complete them. Over the time you will become faster, stronger and more enduring. 3rd training day - Cardio/Fun-Workout: You can insert this workout any day of the week. The important fact is that you do it. That means about 20 - 30 minutes of cardio sports. It should not be excessive training at all, just you, your body and your thoughts. I even leave it up to you to decide what sort of exercise you do. Examples: comfortable jogging, fast cycling, fast walking, swimming, football, basketball, badminton, dancing etc. Simply a thing that suits you the most and brings some fun with it. Does the whole thing sound too hard to you and you don't know where or how to start? Then read the article Training & Workouts - Where to start. If all of this on the other hand is too easy for you and you want to really push it. Then read the article Muscle Training - How to really build muscles. With this combination of workouts all of your muscles will be trained and you will continuously boost your metabolism. At the beginning everything will look heavy, but after 2 to 3 weeks, you will see how everything goes more easily. Don't be afraid just because there are a few exercises that seem complicated or too hard. A correct execution is the most important part, as well as training adapted to your current physical condition. Maybe go see a doctor before starting to work out. If you would go through this kind of program, you might see great progress after 6 weeks. You would certainly have much more endurance, be stronger and your body would be leaner and in a better shape. You can make great progress in a short time, but never expect miracles to happen in 2 weeks or less. So much is promised on the Internet or by trainers, so don't fall for that. I have tried many things and I can tell you, there is simply no shortcut. Just stay consistent. Challenge yourself for 6 weeks and see if you like it, i.e. follow this training method once for at least 6 weeks. Don't rush into anything, but get used to a new way of life. 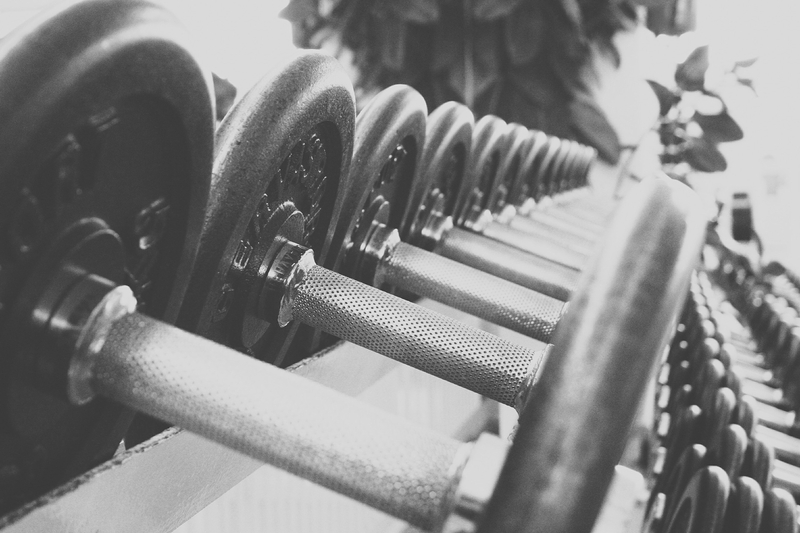 Train not only to lose weight, but to take care of your body, because that way it will last the longest. In 6 weeks you will certainly not lose 12 kilos (26 lbs) and that is a good thing, because that would only lead to a yoyo-effect. Give your body some time. Read in addition my article diet or not diet, that is the question here. If you go through the program "diet change in 6 weeks", while performing this training also for 6 weeks, then you will be very happy. You will see good results and you have made a huge step in a good direction. The progress will be obvious for you and others. Good luck on your way. I hope the article was helpful to you. If so, then share it, so others can also benefit from it. I wish YOU the best!